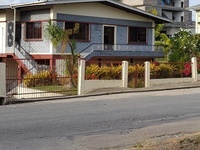 Sanfernando townhouses,3bedrooms,laundry room,two t&b,powder room,parking for two,secured gated compound. 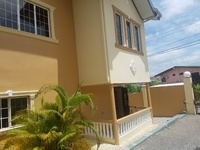 You'll love this gorgeous townhouse located just 3 minutes’ drive from the Main Road Golconda Road . 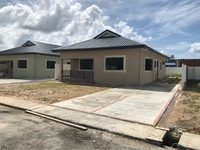 A brand new townhouse development in Peridot Crescent Features 3 bedrooms 2 ½ bathrooms Living and Dining room Kitchen with Teak Cupboards and Granite Counter tops Spacious Laundry Parking for 1 car Size 1,800 sq ft Asking $1.75k - $1.85 - 2 units available mid unit and end unit available call us. 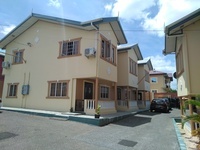 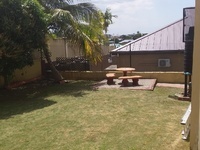 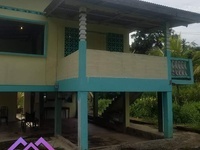 Located in Pond Road is this 2 storey home divided into four (4) separate parts, but can be easily converted to a single home or a home with 2 apartments on the ground floor to generate income.Ground Floor consist of one 2 bedroom 1 bathroom apartment and one 1 bedroom 1 bathroom apartment with entrances on opposite sides of the building.First Floor consist of a 1 bedroom apartment to the back with a kitchen bathroom and living space while the remaining floor consist of 4 bedrooms 1 bathroom a kitchen and a open living area which is accessed through the from porch.Great potential for an investment, as an income home that can pay for itself or a nursing home. 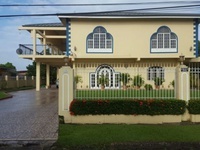 PROPERTY DETAILS- Location: SAN FERNANDO, PalmisteBedrooms: 3Toilet/ Bath: 2Parking: 3 carsBUILDING SIZE: 3350 square feetLAND SIZE: 5700 square feetAll Approvals.Rooms: Living Room, Kitchen, Laundry area, Front Porch, Outdoor DeckThis property forms part of a well known, established and progressive Palmiste Development situated in Phillipine. 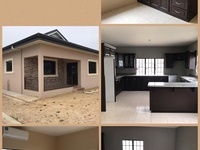 The development lies within 5 minutes driving distance from Cross-Crossing Interchange, Gulf City Mall and all modern amenities. 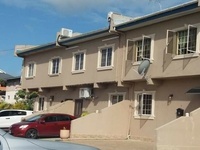 This middle class neighbourhood is predominantly residential homes and of high demand.Additional features include air-conditioning units, water tanks, water pump, water heater etc. 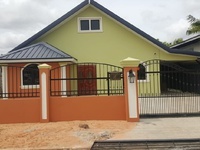 Houses for Sale Aripero Newly built spacious 3 bedroom 2 bathroom flats on 5800sqft of land in new gated development located farm road, Aripero. 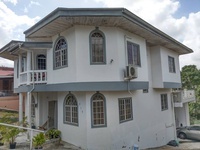 13,722 Sq ft of Land (2 ¾ Lots)Upstairs: 3 Bedrooms, 1 Bathroom/Toilet (recently renovated), Spacious Living room, Kitchen Downstairs: 1 Room, Toilet /Bath, Spacious Yard (Can hold Multiple Cars) Ideal for Gardening, Family events or construction of further property…Electronic Gate /w. 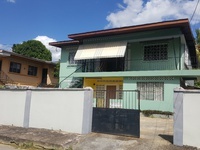 (2) Car remotes included.Property situated on the Main Road and in close proximity to Major highway, Restaurants and shopping Areas. 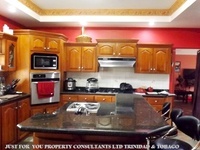 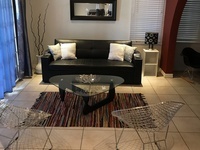 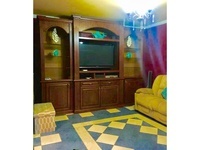 5 bedrooms 3 and a half bath, two story fully furnished. 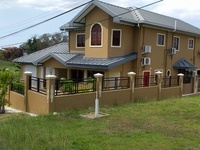 House size 3300 square feet, Land 8100 sq ft. Two car garage, motorised doors and loft for storage. 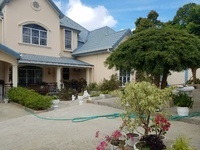 Gated community, secure parking, safe, spacious dinning and living space, entertaining area, hot n cold water, 3 bedrooms 2 1/2 baths and Airconditioned..